It’s a struggle sometimes to shut down that voice of negativity in your head. Vulnerable teens especially can fall into the trap of seeing everything through a pessimistic lens. But you can help your teen see things differently, said Akron Children’s Hospital psychologist Kevin Triemstra. Reframing negative thinking can have a positive impact on emotional health and even physical health. What are examples of negative self-talk in adolescents? Some examples of negative self-talk are self-evaluations (e.g., “I’m so stupid.”) or statements that guess how other people view us (e.g., “Everybody thinks I’m weird.”). Negative self-talk is one example of automatic thinking that is biased and prone to errors. If you feel depressed, sad, or down, you will have thoughts that tend to be negative about self, situation and future. This will lead to more depressed/sad emotions. Is it common for teens to think in pessimistic terms about day-to-day events and challenges? It is common for all of us to think pessimistically at times. We all have times when we predict that our current circumstances won’t turn out well or that one of our mistakes may impact the rest of our life. That being said, teens are at an increased risk to have negative/pessimistic thinking. 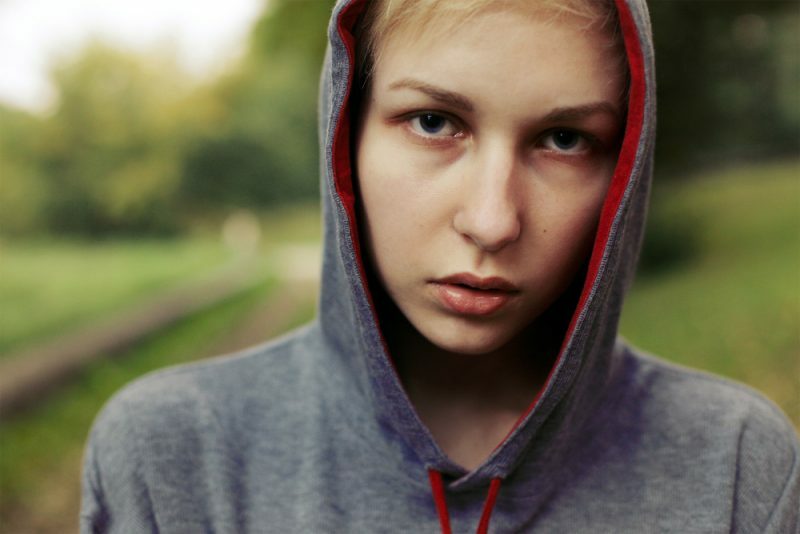 The National Institute of Mental Health (NIMH) estimated in 2015 that adolescents were almost twice as likely as adults to experience at least one major depressive episode in the previous year. Does negative thinking — taking things the worst possible way, for example — influence on how well children do academically, emotionally and socially? The basic concept of Cognitive Behavioral Therapy (CBT) is that our thoughts influence our emotions and behaviors. In turn, these emotions and behaviors can impact how we think (i.e., if you are sad, your thoughts will also be negative/sad). We know that negative thinking and depressed or anxious moods go hand-in-hand and can make people withdraw from social contact, not want to participate in previously enjoyed activities, and have less motivation towards school. Thoughts, moods and behaviors are so interconnected that you can’t change thoughts without impacting the other two in some way. What can parents do to recognize and respond to negative thinking? Parents will often hear statements from their children in everyday conversations that reflect how they are thinking about themselves, the world and their future. Parents should try to set aside time to spend with their children doing something enjoyable (e.g., going shopping, walking the dog, going to dinner) so that there are more opportunities to hear what they have to say. If parents notice overly negative thoughts, don’t dismiss them (e.g., Don’t say “your fine”, “that’s not true”). Instead, talk to them and provide support. When talking through difficult emotions, parents can start to provide alternative ways to think about the situation and can begin to emphasize resilience instead of giving up (e.g., “Even if you fail that test, I think that we can get through that. I’ve seen you handle difficult things before.”). Cognitive Behavioral Therapy (CBT) is designed to address depressed mood or anxiety by targeting maladaptive thought patterns. Through this treatment, teens are given strategies for being more aware of their own thinking habits and how to change their thinking in order to improve their mood. If parents notice that their teen has negative thought patterns that are impacting their day-to-day activities, seeking help from a CBT trained therapist is recommended. Every therapist at Akron Children’s Hospital is specifically trained in CBT.